Dark forces are converging on the sleepy town of Autumn’s Hallow. Monsters in the woods, mad scientists on the loose and sinister minions lurk. Four young friends must band together to uncover a secret plot that threatens them, the town they live in and the people they love. It’s up to Blaine Davis, Daschle Gaunt, Shelley Merry and Drake Harker, heirs to fantastic powers to stop an evil that threatens to consume the world. Can the Monster Squad thwart the evil Victor von Frankenstein in time? Find out in Book 1 of an exciting new series! 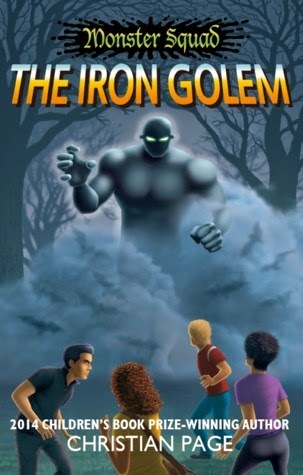 Monster Squad: The Iron Golem is available at Amazon. **No compensation was received for posting. 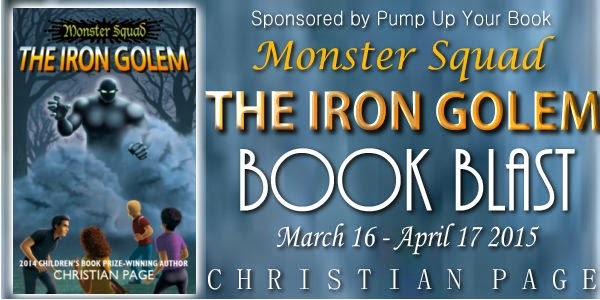 This post is part of a book blast tour. I will have to look into this book, I think my grandson might like it.